Caribbean lime chicken breasts recipe. Any green vegetables such as fiddlehead greens or broccoli will add a colorful note to this yummy dish. Instructions: Preheat the oven to 275º F (140º C). Season chicken breasts with salt and black pepper. In a large nonstick skillet, preheat vegetable oil over medium-high heat. Add seasoned chicken and sear until golden, then cook gently until tender. Remove cooked chicken breasts from the skillet and transfer to the oven. Keep warm. Pour off the grease from the skillet. Add onion, garlic, chicken stock, and thyme. Bring to a boil over medium-high heat. Reduce heat to low and simmer, uncovered, for 30 minutes. Add sliced cucumber and let the mixture simmer for further 5 minutes. Place cooked chicken breasts on a serving dish with your choice of vegetables, and keep warm in the oven. In a mixing bowl, combine egg yolks and milk. Beat well. Pour egg mixture into the warm skillet. heat, but don’t boil, stirring constantly. Add diced ham and pour mixture over cooked chicken breasts. Sprinkle with chopped fresh parsley and garnish with half-slices of cucumber. Using a swivel-bladed vegetable peeler, remove the peel from half of the lime and set aside. Juice the lime into a shallow glass bowl. Add the lime peel to the lime juice, along with rum, garlic, ginger, and red pepper sauce. Add the chicken breasts, tossing to coat well. 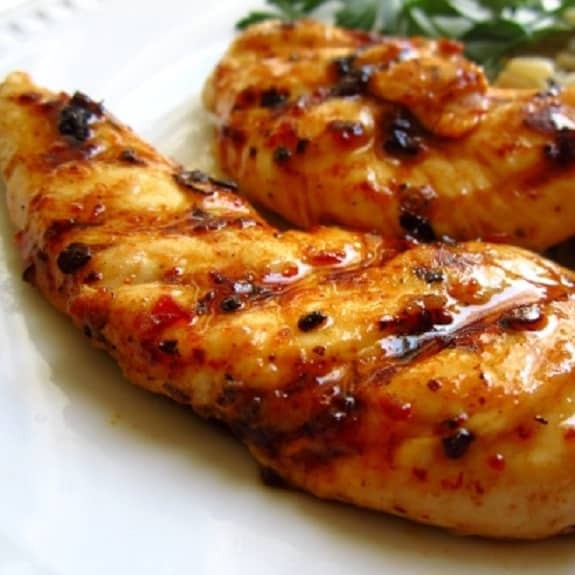 Cover and refrigerate for 8 hours or overnight, turning the chicken breasts in the marinade several times. Lightly coat a heavy 12-inch nonstick skillet with the cooking spray and set over moderate heat for 30 seconds. Add the chicken, reserving the marinade, and cook about 2½ minutes on each side. Transfer to a platter. 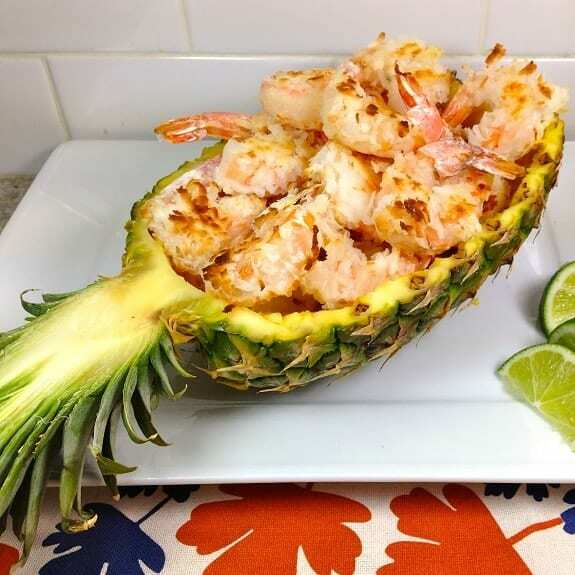 Remove the cinnamon stick, arrange the chicken and sauce in a serving dish, and garnish with banana slices. Serve with tossed green salad.